​Mark will take the time to sit down and talk you, having been a wedding photographer in Adelaide for a number of years he always recommends getting together for a casual chat. He understands that the more comfortable you are with each other, the better the photos on the day. You can discuss exactly the type of wedding photography packages you are wanting for your big day and get to know each other a little, after all you are going to spend a lot of time together on your wedding day. It's also a great opportunity to see the Wedding Portfolios Mark creates with your images; absolutely beautiful prints best admired in person. If this sounds like the kind of photographer you are looking for Mark is your guy. Read his excellent reviews here ~ and click on the images below to be taken to the full albums of these beautiful Adelaide weddings. Mark's work is a prime selection of Adelaide Wedding Photography as he has worked all over this beautiful city from Henley Beach to Gawler and beyond. 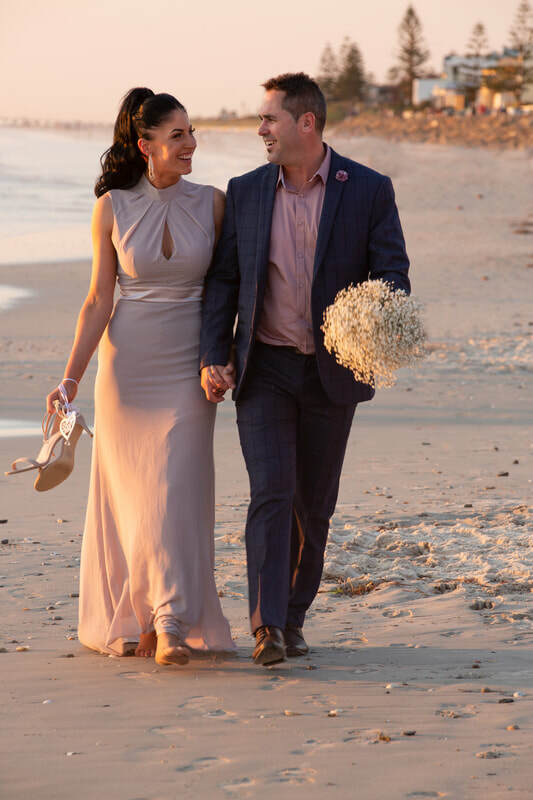 No matter where you may be getting married, Adelaide wedding venues are as diverse as they are versatile and Mark will capture your day no matter the location, most locations don't incur a travel fee. Sam and Zeb at St. Francis Winery. Lora and Damien at Henley Beach. Krystle and Rob,White Hill Estate. Hayley and Brayden,Adelaide Botanic Gardens. Kristina and James,Weddings at Winzor and Mawson Lakes Hotel. Stephanie and Jonathan,National Wine Centre. Erin and Jascha,Keith Stephenson Park. Emily and Tyson,The Watershed, Mawson Lakes.